With Valentine’s Day approaching, chocolate will continue to be a popular gift for sweethearts everywhere, but did you know it’s becoming just as trendy as a skin care ingredient? That’s because chocolate can actually benefit the skin! 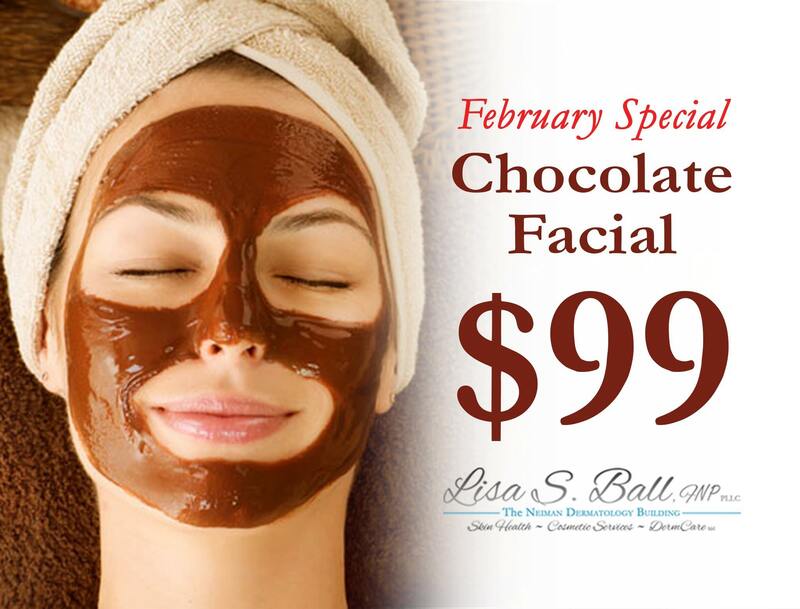 So, exclusively for the month of February, we have developed the chocolate facial. Combining cacao powder and coconut oil, this decadent treatment will help your skin to look flawless in a variety of ways. From clearing blemishes to reversing the signs of aging, your skin will be left with a brighter complexion and more radiant look right after treatment. If you would like to restore your glow with a chocolate facial, contact our office today.